Now there's something we just don't see very often around these parts! 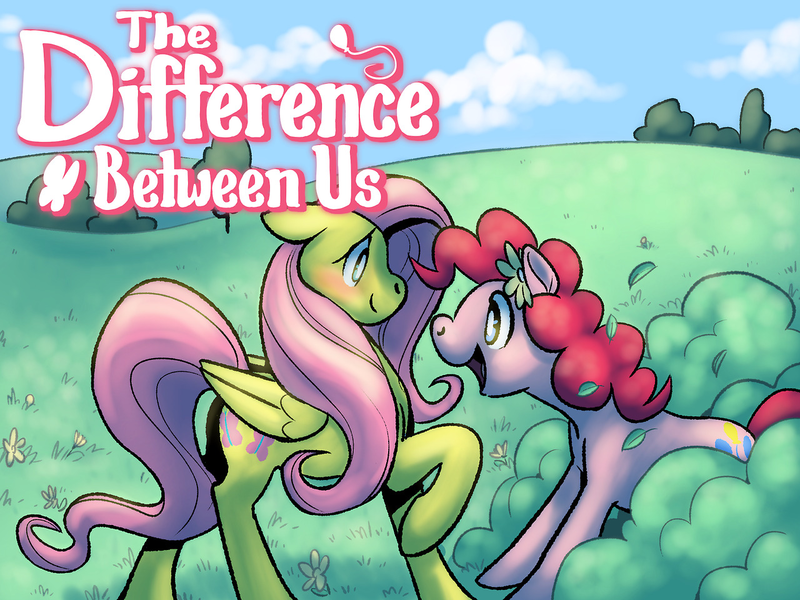 As the title implies (er, well, completely states), The Difference Between Us is a wonderful little Ren'Py-based visual novel from developer Robin Daydream covering the wonders and woes of Pinkie Pie and Fluttershy's first date. While the concept is pretty simple, the developer's description promises and the game seems to deliver on (I only say seems as I've only had time to play through the game once thus far) there being plenty of variation; between the three possible routes through the date and three endings per possible route, there should be more than enough to keep you invested for at least a little while! Admittedly, at least for me, jumping into a game that's all about shipping our favorite tiny, colorful horses can be just a tad bit uncomfortable on the surface, but once you're actually into the story (and experienced adorable overload!) it's definitely worth playing!